On October 26, 2010, the Alabama Department of Transportation (ALDOT) will hold a public meeting in Tuscaloosa to present plans to run the “Eastern Bypass” through Hurricane Creek, a federally protected waterway and one of the region’s most beautiful and important natural assets. Several citizen groups, including The Friends of Hurricane Creek, will attend the meeting in hopes ALDOT will reveal why they have selected a plan that maximizes both construction costs and damage to the creek. 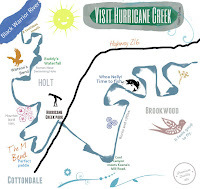 ALDOT’s proposed route for the bypass cuts through Hurricane Creek’s “M•Bend,” an historically significant and ecologically sensitive set of turns forming the heart of the creek’s beautiful and unique identity. In the proposed design, this small yet complex section of the creek is to be traversed by five bridges. Though poor transportation planning has left officials with limited options to connect the growing suburban communities of north Tuscaloosa directly to the Interstate 20/59 corridor, there seems no reason why the Eastern Bypass (a four-lane thoroughfare) must cut through the very heart of Hurricane Creek. Ever since ALDOT’s plans were first unveiled in 1999, local groups have proposed nearby alternate routes that are available, feasible, and that would minimize damage to Hurricane Creek. These alternatives would reduce ALDOT’s need to employ expensive techniques required for construction near protected waterways. For just as long, however, state and local officials have refused to acknowledge the merits or the very existence of these alternatives. Mile for mile, the proposed Eastern Bypass will be the most expensive road ever constructed in Tuscaloosa County. 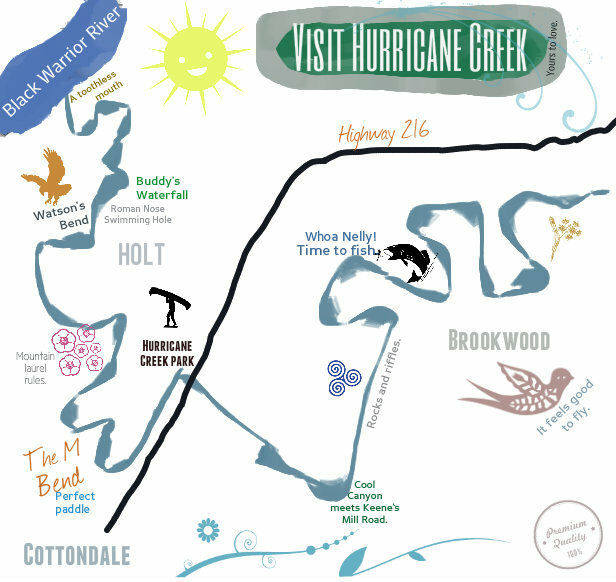 ALDOT has not said why the route must run roughshod through Hurricane Creek, one of the area’s few remaining environmental jewels. Local citizen’s groups will attend the public meeting in hopes that ALDOT can solve this mystery of sorts.